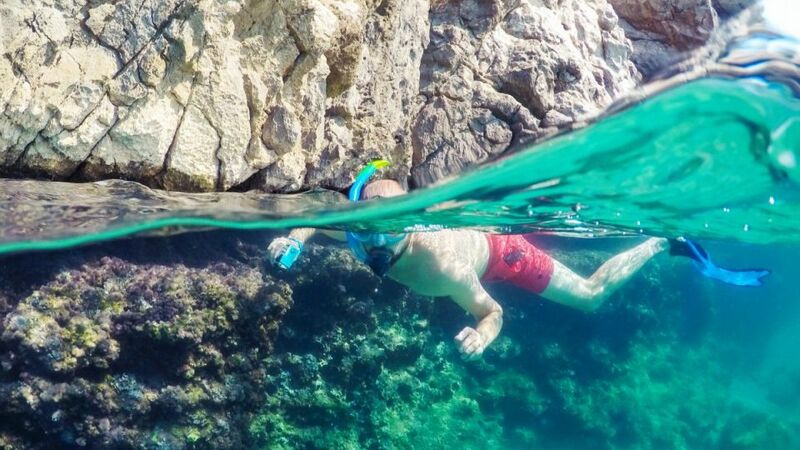 Summer is here and with it the chance to take your camera under water. Our photography expert shares his advice for getting the best shots. Underwater photography is rewarding, interesting and not nearly as difficult as you may think. All it requires is a little practice and a bit of patience. Composing pictures of underwater critters and plants can be difficult while trying to maintain control of both your camera and your buoyancy, so a little planning with regards to camera settings is vital. You don’t want to be fumbling around too much with camera adjustments and settings. I would start with choosing an ISO and shutter speed appropriate for the conditions. If you are going deep, boost the ISO a bit to give you more exposure flexibility. Think about your target subject: a fast shutter speed and autofocus tracking will be best if you are chasing fish, but for macro photography, choose single-point autofocus and an aperture that will give you good depth of field. One of the most important things to understand is that the ambient light drops significantly as you descend. Red, orange and yellow colours gradually change into blue, brown and green hues as the sunlight struggles to penetrate the water. You can see this when you are snorkelling — reefs, fish and plants in water 1-3m deep are colourful, but change as you look deeper. The biggest change in colour is within the first five to 10 meters. But here’s the magic: the colours are still there, you just have to shine a light on to the fish or reef to bring them back. An underwater LED light is perfect for video, but flash is generally better for stills because it allows you to control the output of the flash. Light will only penetrate so far, so getting close to your subject is important. One of the most difficult things about underwater flash photography is avoiding backscatter, which occurs when the light from the flash bounces off particles in the water. You can reduce backscatter by positioning the flash away from the camera if possible or by going close and avoiding stirring up sediment. Underwater photography does not have to be an expensive activity. An action camera or a tough compact camera can be yours for a few hundred dollars. They are easy to use and will produce good still and video images as long as you use them in shallow water where there is plenty of light. Action cameras offer unique point-of-view photographs and are extremely popular with thrill seekers. Tough, small and light, they can be mounted on just about anything, but they do have limitations. The point of view is generally very wide, so they are more about showing off the environment and the heroic deeds performed by the photographer. Tough compact cameras are a step up in quality from action cameras but are in roughly the same price category. They generally have larger image sensors and faster lenses — but, most importantly for underwater photography, they also have a zoom lens and perhaps even a macro setting. Most tough compacts also have a built-in flash that will help to add a bit more punch to the colours of your underwater photos. The best but also most expensive option (isn’t it always the way?) is an underwater housing for your DSLR or mirrorless camera. These will give you the most flexibility and control, and the option of adding accessories such as strobes. Underwater housings from the various camera manufactures are camera and model-specific, but there are some third-party housing manufacturers that allow you to switch between camera brands without major modifications.